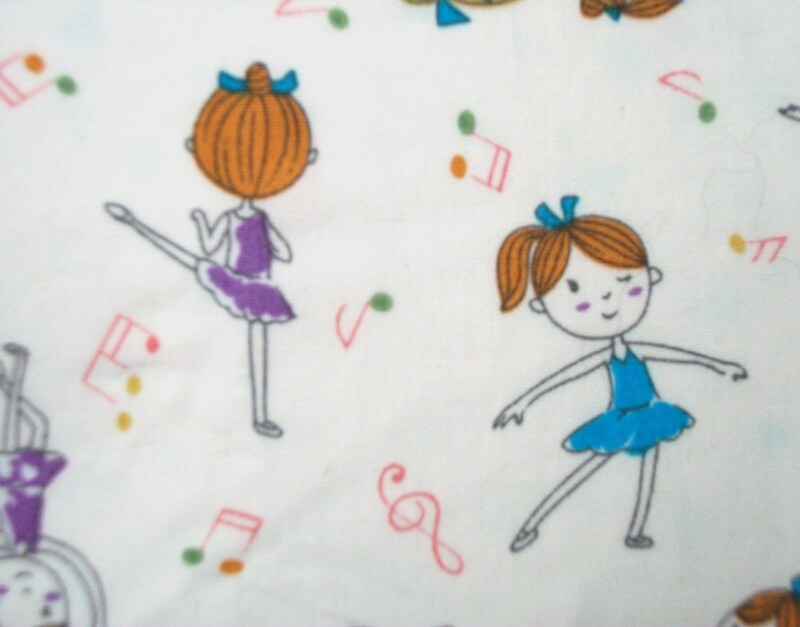 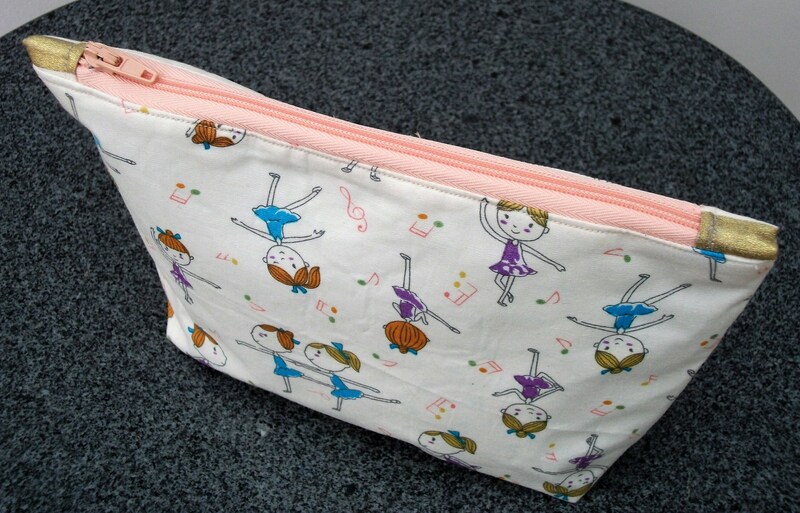 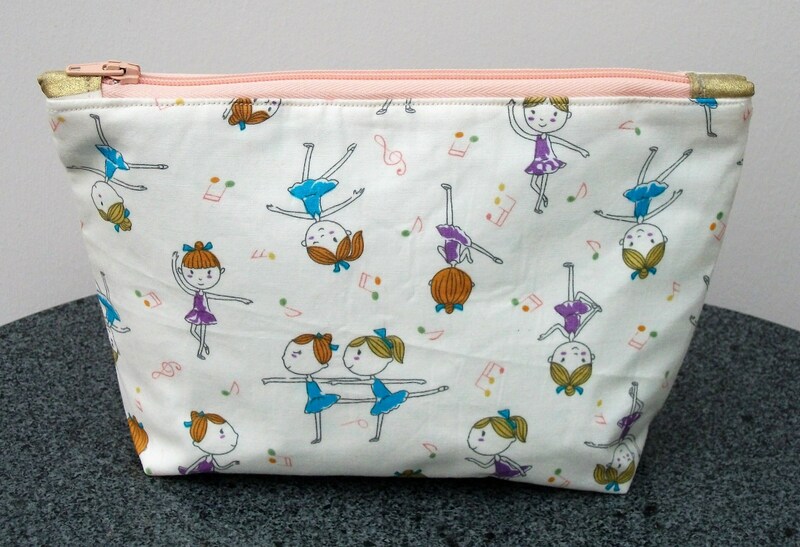 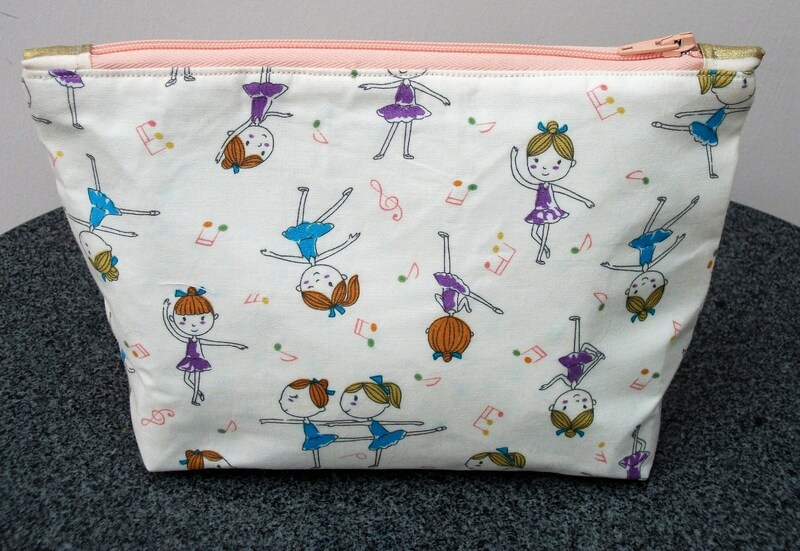 Here is a cute little purse made from fabulous ballet themed fabric in shades of pinks, blues and peach. 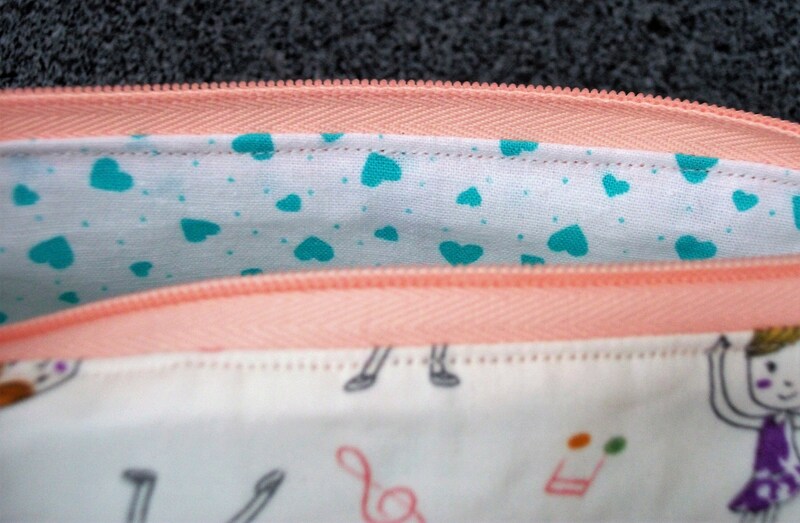 There is a zippered closure at the top finished off with end tabs made from gold fabric and the lining inside is a lovely white fabric with turquoise hearts to go with the main fabric. 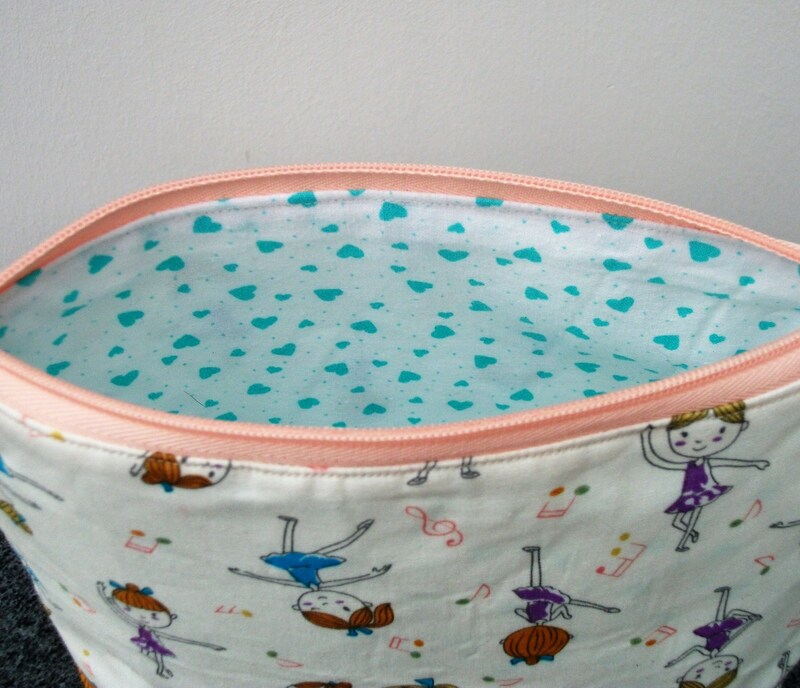 It is lined with interfacing to give the bag strength and body so it will stand freely if desired. 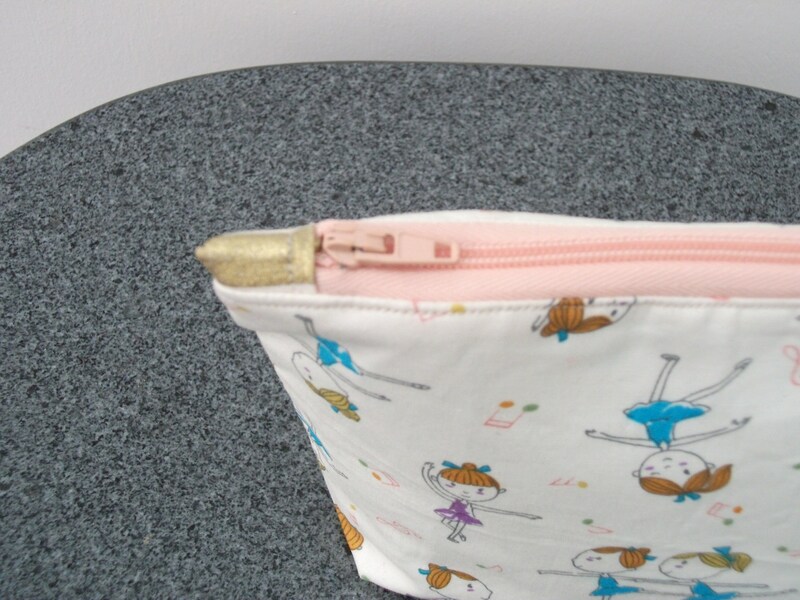 The zipper comes in different colours - cream, white or pink - the choice is yours. 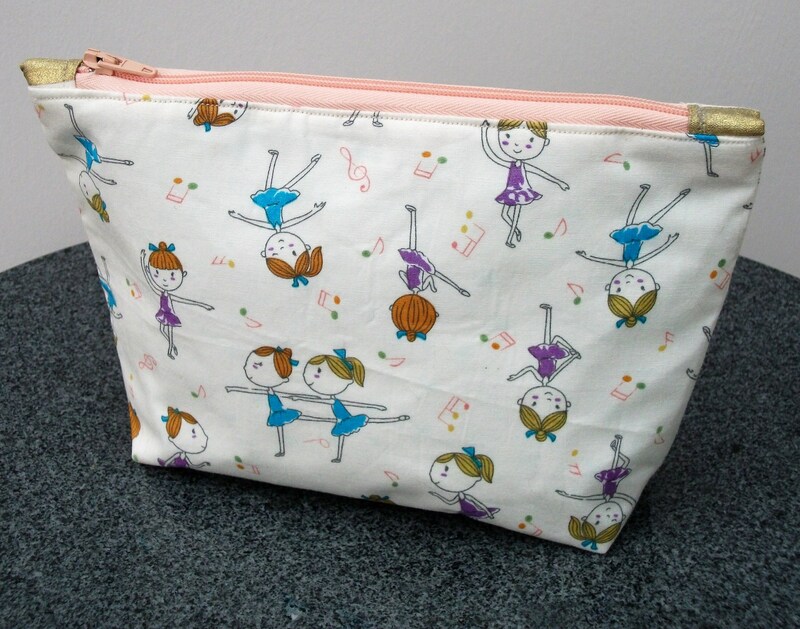 The purse can be used as a coin purse, a cosmetics purse or a pencil case- lots of uses.